The reigning county champions have been pretty impressive on their march to the semi-finals, and have an unmistakable air of supremacy and confidence about them. As if they know something that their rivals don’t. They have a swagger about them, and that’s ominous for those intent on taking their crown. Fulham Irish captain Michael Murphy led the way with a stunning hat-trick in the win over Parnells in Round 1, and while the Kingdom put it up to them before Fulham came out on top, they then struck a physiological blow (for some) with their win over Tir Chonaill Gaels to take top spot in Group 1. It was the south Londoner’s third consecutive win over the Gaels, going back to last year’s county final. They also inflicted the only defeat on the Greenford side on their way to winning League Division 1. While the result mattered not, Fulham’s performance was impressive, despite the conditions and absentees on both sides. They arguably flexed a muscle that day. Greg McCartan’s side have their eyes fixed firmly on winning back-to-back titles for the first time in Fulham’s history, make no mistake about it. David Givney was outstanding in that win. The Gaels were forced to send Brendan Friel back to try and contain the former Cavan star, but to no avail. On a desperately difficult day for handling, Givney was a class apart. His ability under the high ball gives Fulham a more than useful route-one option. Round Towers will need to find an answer to that question, but Fulham have plenty more threats. Liam Staunton has been excellent in the half forward line, while David Connern showed what he can do with some quality scores against the Gaels. The return of Loran Mulvey to the forward line has added some extra bite, and if former Waterford footballer Gavin Nugent has recovered from the injury which forced him off against the Gaels, then Fulham have plenty of forward power. And that’s without even mentioning Owen Mulligan. Fulham are a big, physical side, who move the ball at pace and with accuracy. Towers will need to be braced for a fast start, and may have to cling on in there and hope to weather the early storm, which Sunday’s first whistle could unleash. But Towers are anything if not ‘up for the scrap’. When their backs are to the wall is when they are at their most dangerous, and Fulham will not need reminding of the South Londoners’ fighting qualities. When the sides met at the same stage last year, Towers’ found the net twice late on to trail by just two points with minutes to go, only for Fulham’s experienced heads to see them over the line, and to a 0-17 to 2-6 victory. Towers lost their opening Group 2 fixture to North London Shamrocks, but dug deep against St Kiernans to win by four points in what was a must-win game for them. Admittedly, they benefited from the first half sending off of Barry Tully, but inspired by Paul O’Donoghue, Tomas Hill and Sean Hickey, and the industrious Colin Dunne, David Dunne and Kenny Rigney, they squeezed home. Liam Feerick’s solo goal was sublime. Then set the target of beating Cuchulainns by 17 points to reach the semi-finals, they won by 20, thanks in no small measure to O’Donoghue’s late goal. Whether at midfield, centre forward, full forward or in his own square, O’Donoghue has been inspirational for Towers in their last two games. Aside from his six points against Kiernans and his 1-11 haul against Cuchulainns, he’s covered every blade of grass, demanding the ball and dictating Towers play. He makes Round Towers tick. They’ll need an even bigger performance from him on Sunday, but not just from O’Donoghue. Towers’ heart will not be open to doubt on Sunday. The question is, will they be able to score heavily enough to worry Fulham on the scoreboard? Hickey has the pace to cause problems, if Towers can get him the service. When the sides met in League Division 1 at Mitcham in July, Towers won by a point (2-11 to 0-16), so it’s definitely not beyond them. 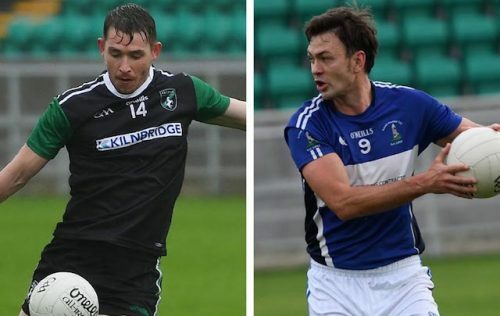 But like North London Shamrocks, they’ll need to produce a special performance on Sunday if they’re to end their 19-year wait to reach a senior county final.